Waterfall, Agile, Lean, Iterative, Prototyping, DevOps, Spiral or V-model? 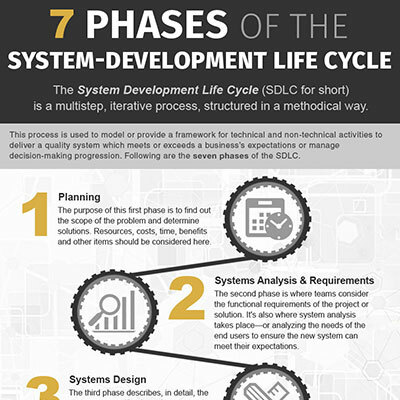 The system development life cycle, known as the SDLC, is the industry-standard approach to managing phases of an engineering project. Think of it as the equivalent to the scientific method for software development and other IT initiatives. 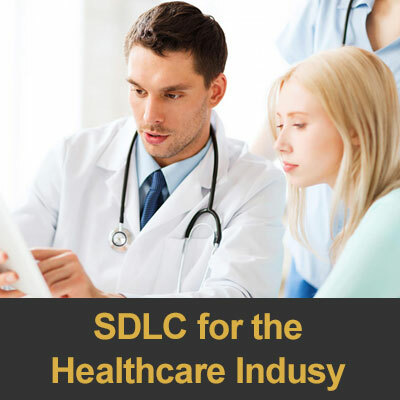 The common breakdown of the SDLC includes seven phases that trace a product or project from a planned idea to its final release into operation and maintenance. There is flexibility within the SDLC. In recent decades a number of different models and methods have gained popularity. Consider one of the following six approaches when establishing an SDLC in your organization. The waterfall approach is one of the oldest SDLC models, but it has fallen out of favor in recent years. This model involves a rigid structure that demands all system requirements be defined at the very start of a project. Only then can the design and development stages begin. 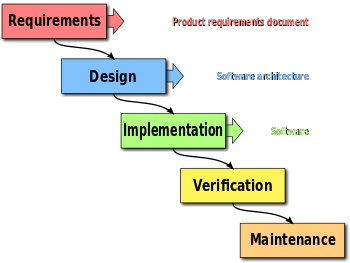 Once development is complete, the product is tested against the initial requirements and rework is assigned. Companies in the software industry typically need more flexibility that what the waterfall methodology offers, but it still remains a strong solution for certain types of projectsâ€”especially government contractors. 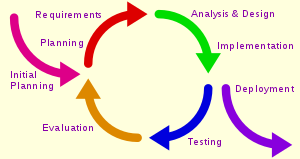 The iterative methodology takes the waterfall model and cycles through it several times in small increments. Rather than stretching the entire project across the phases of the SDLC, each step is turned into several mini-projects that can add value as the product evolves. The iterative approach shares many of the same goals as the agile model, except external customers are less involved and the scope of each increment is normally fixed. DevOps is one of the newest SDLC methodologies and is being adopted by many software companies and IT organizations. 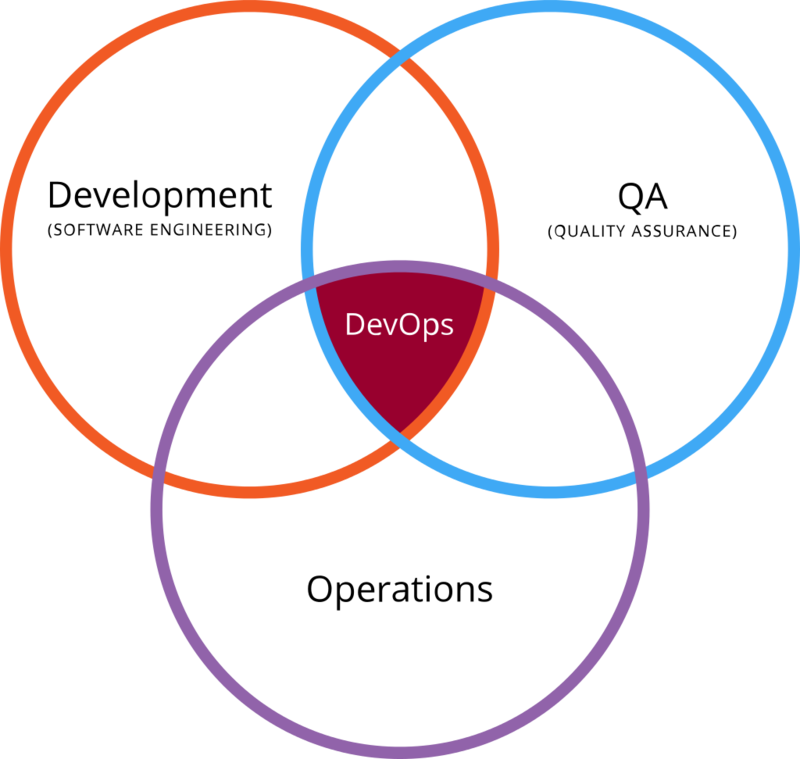 As its name suggests, the premise of DevOps is to bring development teams together with operational teams in order to streamline delivery and support. The advantages of such an approach are that changes become more fluid, while organizational risk is reduced. Teams must have flexible resources in order for a DevOps arrangement to succeed. 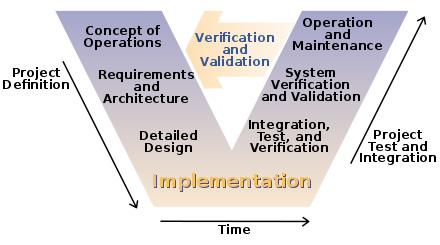 An evolution of the classic waterfall methodology, the v-model SDLC process steps are flipped upwards after the coding phase. The v-model has a very strict approach, with the next phase beginning only when the previous phase is complete. This lack of flexibility and higher-risk method isn’t recommended for small projects, but the v-model is easier to manage and control. For projects where requirements are static and clearly stated, and where early testing is desired, this approach can be a good choice. 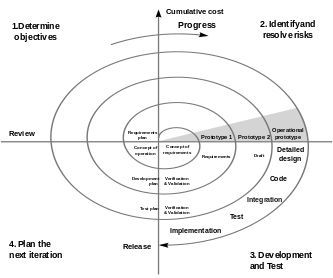 The spiral methodology allows teams to adopt multiple SDLC models based on the risk patterns of the given project. A blend of the iterative and waterfall approaches, the challenge with the spiral model is knowing when is the right moment to move onto the next phase. Business that aren’t sure about their requirements or expect major edits during their mid to high-risk project can benefit from the scalability of this methodology. The agile and lean approaches are closely interconnected, as they both focus on delivery speed and continuous improvement. In contrast, the lean model is rooted in manufacturing best practices where excess waste and effort are seen as the largest risk to an organization. When it comes to software and projects, the lean SDLC methodology focuses on reducing waste in every phase, including scheduling, cost, and scope. This approach is most compelling for organizations with strict hardware requirements and other procurement needs. The agile methodology is the opposite of the waterfall approach. Rather than treating requirements, design, and testing as large sequential steps, an agile model makes them all ongoing processes that require involvement from developers, management, and customers. Work is typically broken into 2-4 week segments known as “sprints,” in which the responsible teams tackle the major needs of their customers and perform testing as they go. Agile tends to work well in small organizations, especially startups, where speed and flexibility is essential. In the prototyping methodology, the design team's focus is to produce an early model of the new system, software, or application. This prototype won’t have full functionality or be thoroughly tested, but it will give external customers a sense of what’s to come. Then, feedback can be gathered and implemented throughout the rest of the SDLC phases. The prototyping approach works well for companies in emerging industries or new technologies. When selecting the best SDLC approach for your organization or company, it's important to remember that one solution may not fit every scenario or business. Certain projects may run best with a waterfall approach, while others would benefit from the flexibility in the agile or iterative models. Before deploying an SDLC approach for your teams and staff, consider contacting a knowledgeable IT consultant at Innovative Architects for advice. Our experts have seen how the different models function best in different industries and corporate environments. We are adept at finding a good fit for any situation.